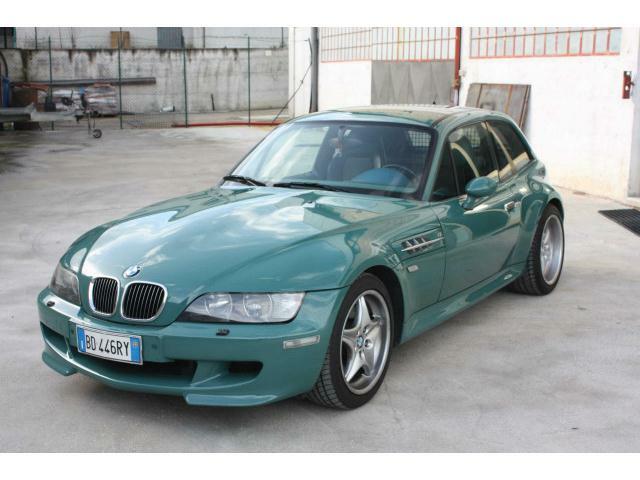 This M Coupe was posted for sale on autoscout24.eu in Giulianova, Italy with 75,000 km (46,602 miles) for â‚¬25,000 (~$34,760 USD). This Evergreen/Evergreen, sunroof delete Coupe must be extremely rare. 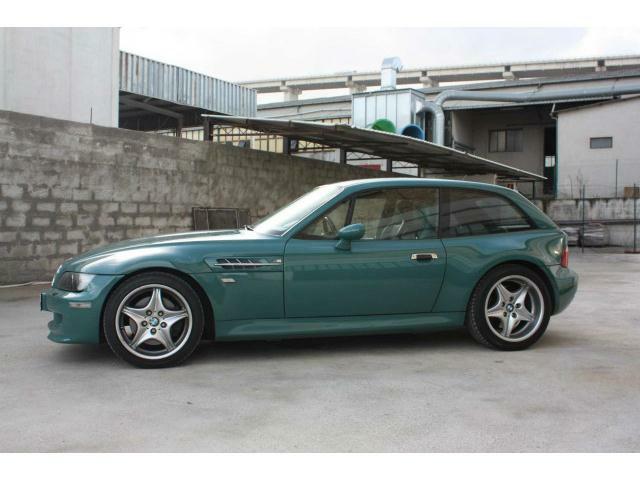 There is only 1 EG/EG sunroof delete M Coupe in the US, obviously with an S52, rather than an S50 like this Coupe. There are said to have been 2,178 LHD S50 M Coupes produced, whereas there were 2,180 S52 M Coupes produced. Very similar numbers. There were 41 Evergreen M Coupes produced for the US, and I suspect that those numbers are similar, if not less elsewhere. 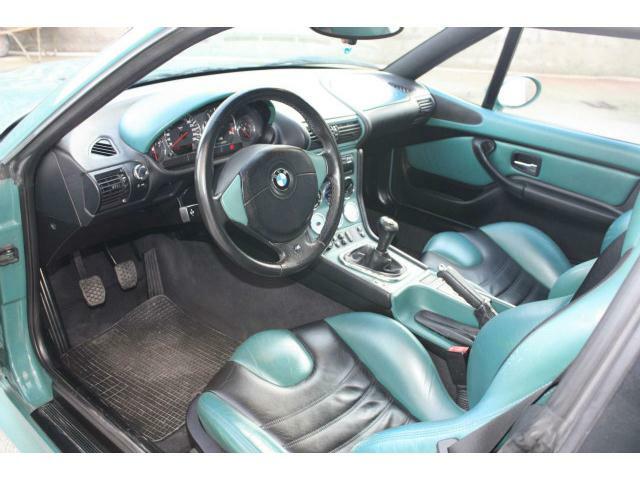 The Coupe appears to be all stock with the exception of newer 2000+ headlights with chrome trim rings, and the suspension seems a bit lower, so it may be aftermarket. The kidney grille slats also seem to be chrome trimmed, which makes me think that it is a 2000, but the ad indicates that it was first registered 4/1999. This is my absolute favorite color – both inside and out. The only way to make Evergreen better would be to have it with an S54B32. The only way to get that would be with a swap though, or a respray, correct? 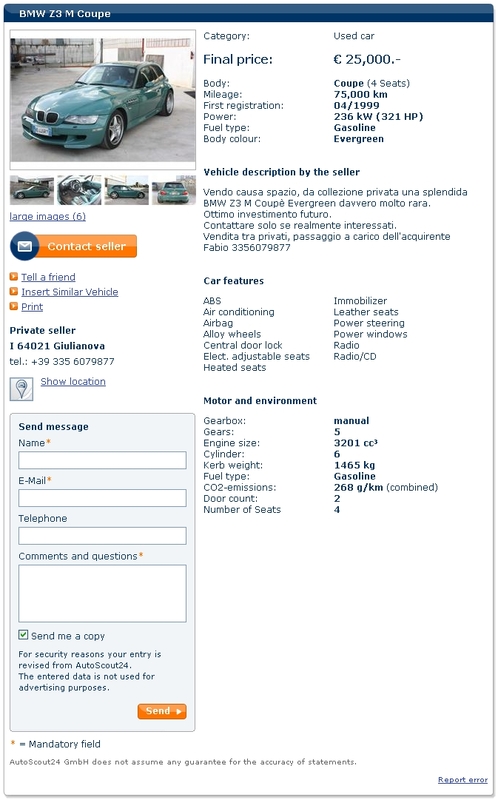 Correct, Evergreen was an S52 and S50 color only for M Coupes. A proper, engine out paint job would be costly, but an S54 engine swap would be costly end quite difficult. There are lots of variables with both options, so who knows which would be more? 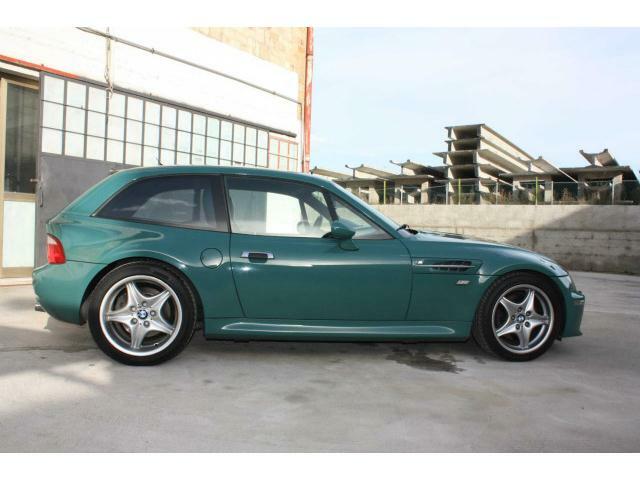 Although I wouldn’t own a Coupe in this color Evergreen is one of my favorites as well. 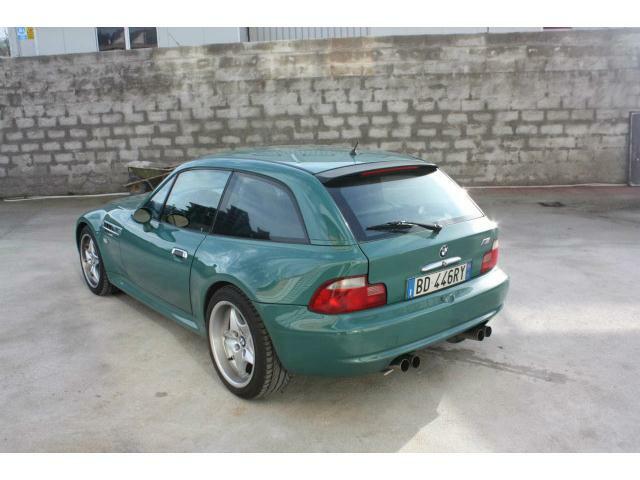 What also makes it extra special is the fact that Evergreen is an MZ3 (Coupe & Roadster) only color unlike many of the “M” colors that were found on various chassis’s and models including non-Ms as well. i.e. Estoril and Imola X5s. 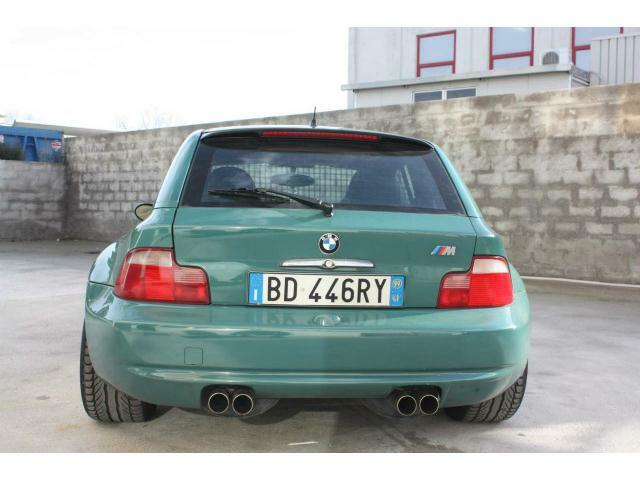 I didn’t realize it was an E36/8 only color. Cool, good to know!